We are lucky to be located next to so many attractions and offer what we believe to be the best Lake Naivasha Guesthouse in the region. With comfortable rooms and friendly staff, you can be sure to enjoy a comfortable stay in a secure environment. However, we also know that you come here for the amazing things to do in Lake Naivasha. 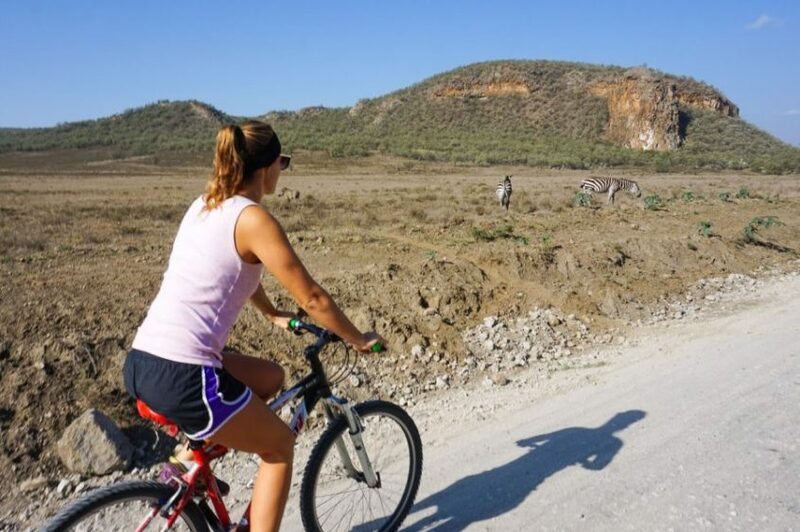 Amazing things such as the Hells Gate Cycling Tour rather than just to experience our hospitality! With the above in mind, this is why we ensure our guests are fully aware of the best options for exploring the area. One of these involves cycling in Hells Gate National Park. Beautiful in every way, the park itself never fails to disappoint. However. unfortunately, sometimes the guides or the actual bicycles have a tendency to feel like a real let down. For this reason, we organize a Hells Gate Cycling Tour with not only trusted guides but also the absolute best bicycles in the area. You might be surprised to hear this but we actually have excellent bikes here including excellent models of both Giant and Trek. We can also tell you that the owners ensure these bicycles are kept in the best shape possible and they take spares on each Hells Gate Cycling Tour to avoid problems. Want to know what to avoid? You can actually cycle alone to the park and enjoy cycling in Hells Gate without a guide. But please, for now, you must avoid renting bicycles outside the park itself. Why? Not because we dislike these people or because we want your money. And not because they are fitted with explosives designed to ruin your travel experience. We tell you this because they are in bad shape and feedback from tourists is always poor. 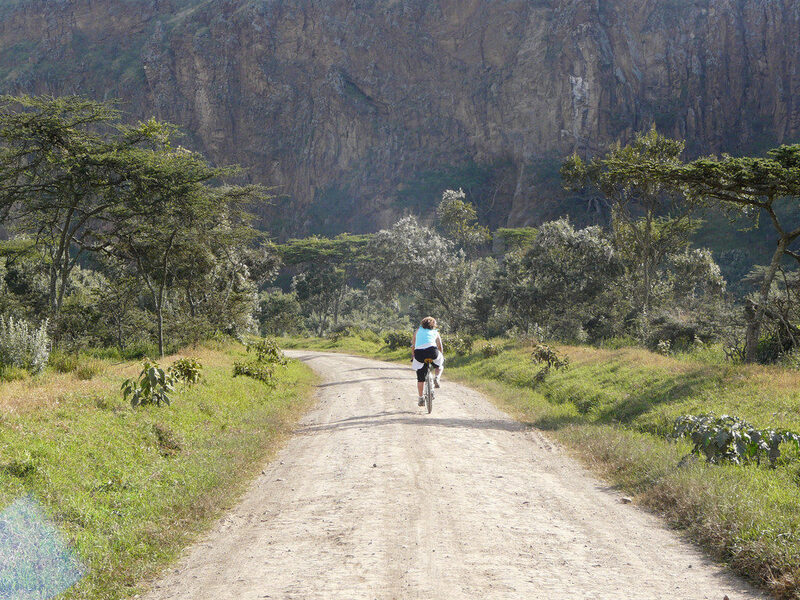 We look forward to receiving you here at Lake Naivasha Guesthouse or even just organizing your Hells Gate Cycling Tour. Either way, Safari Njema, and Asante Sane. You can contact us more information on the instant chat facility in the corner. Looks like a fabulous experience. If I make it to the area, I would definitely be interested in a cycling tour. Also, that’s a great point about the bikes: bikes require constant maintenance, so it is very important to have a quality bike that has been regularly checked and maintained. Also, having spare bikes for this kind of endeavor could end up saving the day. Never heard before about this place but I can imagine how adventurous it would be to explore it on cycle. Certainly it helps reader about what to avoid at such places . It is very useful guide for readers to understand and be alert. Thanks for sharing . It’s indeed better to always rent bicycles with a proper agency. When we visit lake Navaisha, we will make sure to rent our bikes and guides from you guys to ensure we have the best experience possible. We’re looking forward to this awesome trip. Thanks for sharing! I had to google this place and where it is, it sounded so interesting. It really looks beautiful there with the wild animals so close to the trail. What were the temperatures like? This is such a great option to safely to explore the Hells Gate National Park. I would personally go for a guided tour but I guess if there are regular visitors they would prefer to tour the park independently. Thanks for sharing. Are the charges same for bicycles rented outside the park and at Lake Naivasha Guesthouse? Hey Suma, sorry for the long delay responding to your message. Yes, the price is the same for bicycles outside the park and here at the guesthouse. If you wish, you could stop by the bicycles on the way to the Guesthouse and see them for yourself. However, we know that you will agree that the bikes on the grounds here are far better and more reliable.